A romantic dinner – complete with wine, music, candlelight, panoramic view, good food – is a pretty traditional, even cliché, way to celebrate your wedding anniversary. My husband and I marked our 15th last week and we celebrated with all those trappings, with one big difference – our venue. The “shanty” is designed for hunting, but it’s no shack, more like an outdoor room. My husband carefully outfitted it with all the comforts of home. It’s heated, insulated, carpeted, and furnished with cushy chairs and a radio, and all four sides have double-hung windows, an opening to an unmatched view. And nature did her part, too. First, the beautiful sunset. Then the full moon, and a canopy of stars. A night built for romance. No-boil noodles work, but they’re just not the same when you’re trying to pull out all the stops. Ground beef is okay but sweet Italian sausage is better, but more than a pound is overwhelming. And turkey sausage is a great way to lighten up. Yes, cottage cheese works, but I still prefer the texture and flavor of ricotta. 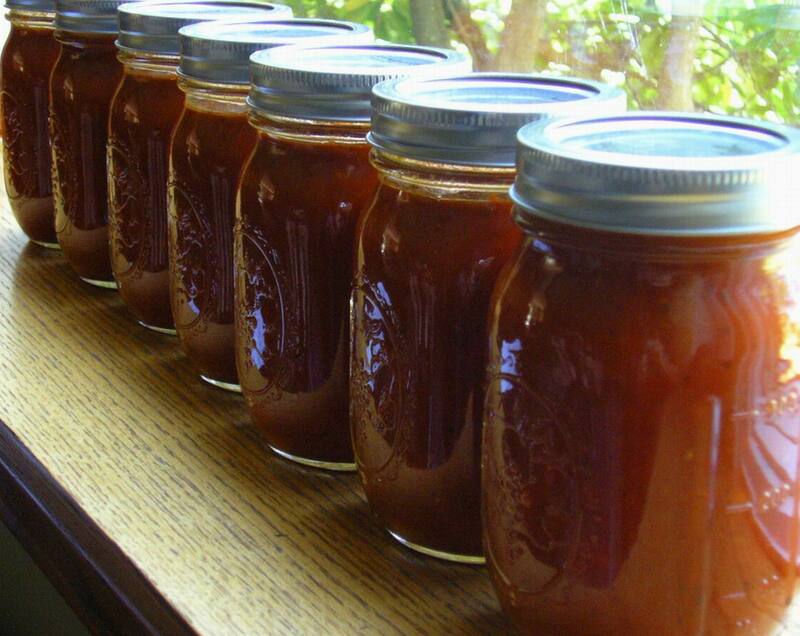 A jarred sauce is okay, too, but homemade is best. Freshly grated Parmesan makes a big difference. Making three layers makes more sense to even things out better, but when your eye doesn’t judge “thirds” too well, a half is the way to go. Spinach in the filling is better than parsley. A little nutmeg grated into the spinach-ricotta filling is a subtle but noticeable difference. With that, here’s . . . .
Make the sauce: Brown sausage, onion and garlic in a large Dutch oven over medium heat until well-browned. Add tomatoes, paste, wine and seasonings. Simmer, uncovered for about 30 minutes, stirring occasionally. Make the filling: Mix eggs in medium bowl. Add ricotta and Parmesan. Mix in spinach. Add seasonings. Bake, covered, for 30 minutes. Then uncover and bake for 10-15 minute more, to desired brownness. Let sit for 15 minutes before cutting and serving. Makes 12 servings. 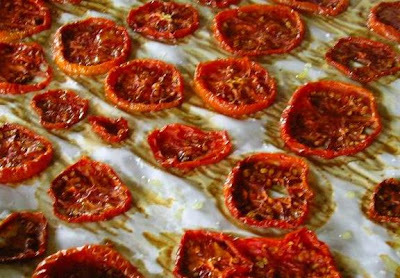 Of course, it’s not really candy, but my oven-dried tomatoes sure tasted sweet! It was my last batch of Roma tomatoes and, frankly, I was tomatoed out, but didn’t want to waste them; so, after reading a couple blog posts (The Teenage Gourmet and Foy Update) I decided to give it a go. I read a couple more articles on the Internet and melded all that I learned together, turned on the oven and started slicing. 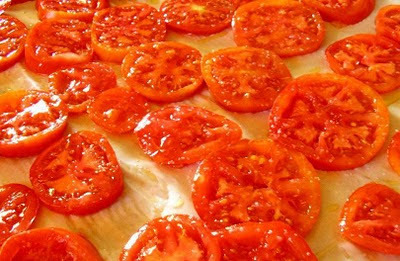 I sliced the tomatoes thinly and placed them evenly on a parchment-lined rimmed cookie sheet. A little (very little, like a drop per slice) of extra virgin olive oil and a sparse sprinkling of kosher salt and my “candy-making” had begun. The pan went into a 250 degree Fahrenheit oven for about 4 hours before I checked them. A peek -- and taste -- revealed that some of the slices were done, so I removed the crinkled ones; some went directly to my mouth. One of the crispier ones tasted just like I’d imagine a tomato chip to taste like, sweet, salty, just the right crunchy. The pan went back to the oven for another 2 hours and then I turned the oven off and let the tomatoes sit in the cooling oven overnight. In the morning, I put the tomatoes into pint jars, covered them with olive oil and added a couple sprigs of fresh thyme. Pretty as a picture. Preparing kale this way is true food alchemy – with no cooking involved. By simply “massaging” the little-bit-tough, little-bit-chewy, but oh-so-good-for-you kale, the greens morph into a sweet and tender salad. Kale isn’t easy to warm up to. It just looks like it could scratch you. I have the same reaction to “Try it. You’ll like it” about kale that most people seem to have about anchovies. (Not me; I love the salty little devils!) But since I like to think I’ll at least try anything once, I decided to try this kale salad after watching an episode of “Aarti’s Party” on the Food Network. The idea that kale could be transformed by a massage was very intriguing. Then again, we all can find a massage soothing. And the kale indeed is soothed by simply getting in there with your bare – clean – hands and smooshing the chopped greens around for a couple minutes. A little TLC can help just about anything, or anybody. I never had kale as a child. The only “greens” we ever had were the iceberg in our salads and frozen spinach. My mom usually just cooked the frozen block of spinach and then dressed it with cider vinegar and topped it with chopped hard-boiled egg. That’s still one of my favorite ways to have spinach (aside from creamed!) My greens arsenal is much bigger these days but kale is still only a once-in-a-while fling. The Aarti episode was my initiation to the salad, but then I searched around the internet a bit and discovered it’s a lot more common that I thought! (Reminded me of the last time I explored a kale recipe: baked kale chips. And I had the same “I-can’t-believe-that-this-is-so-good-and-nothing-like-I-expected!” reaction to this salad as I did the chips, which I have made several times since I discovered them.) Some versions included different fruit and various different cheeses; some were dressed simply with balsamic vinegar. The Aarti version called for mango, but would you believe the store didn’t have any the day I was shopping? So, I strained my brain and opted for nectarine, the closest fruit in taste and texture I could think of. And I also added toasted walnuts (because I had just a handful in the freezer left over) and I added feta cheese (because I wanted to!) I left the dressing alone; it was just the right mix of sweet and tang, a perfect foil for the relaxed kale. Prepare the kale: Wash and pat dry. Remove the thick ribs by making V-cuts into the large leaves. Then roll the leaves as tightly as possible and cut into about ¼ inch slices, like ribbons. 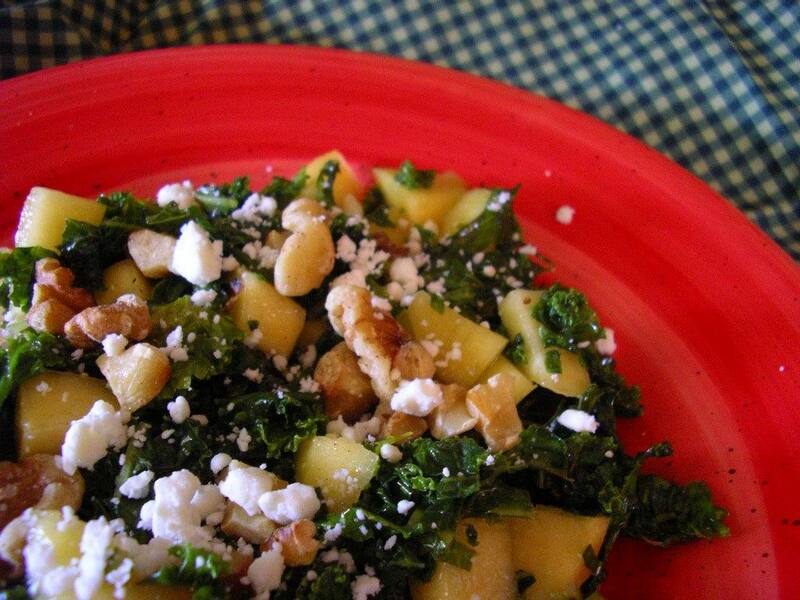 Place the prepared kale into a large serving bowl and add half the lemon juice, a drizzle – no more than a tablespoon -- of oil, and just a bit of kosher salt. Get in there with your hands then and massage the kale for 2 minutes until the kale starts to soften and wilt. Make the dressing: In a small bowl whisk the remaining lemon juice with the honey and freshly ground black pepper. Stream in slowly ¼ cup of extra virgin olive oil until it emulsifies and the dressing forms. Add more pepper if you want after tasting. You say tomato. I say “Aaargh! Dude’s son-in-law Tommy humbly disagrees with the methodology: “No, no, no. Grind first, then strain. The flavor’s in the skin!” My instinct tells me he’s right. Next time, another try. When I’m not feeling quite so lazy about it. This is the recipe I followed (pretty much) for my first batch – 10 pints. Confidence bolstered by my first effort, I winged it the second time. With great success, I must add. 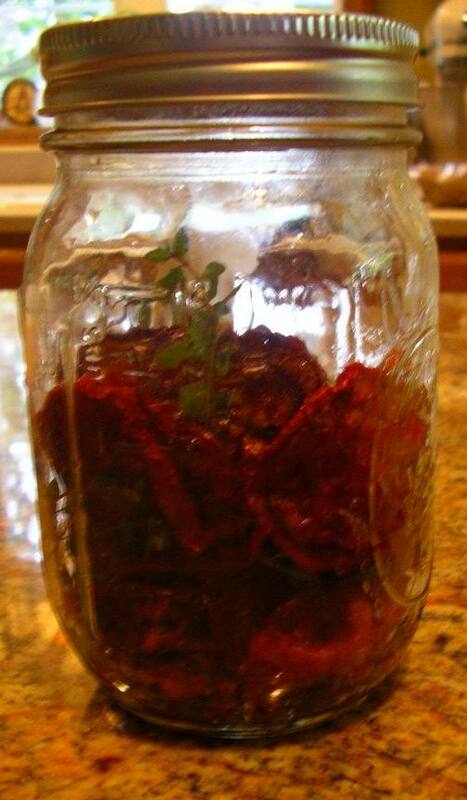 Because I wanted a smoother, marinara-like sauce, I eliminated the vegetables the second time around and beefed up the spices, using dried basil, thyme, oregano, about1/4 cup total, and bay leaves –for the 30 pounds of tomatoes, which yielded 6 quarts. If I sat down and did the math about the cost of things – considering time and labor -- I’d probably have to charge about $5 a quart! But the satisfaction of “I made that and it tastes great and I know where everything came from” is priceless, for sure. Loosen tomato skins by plunging tomatoes into boiling water for 1 minute, then under cold running water. Remove skins. Cut tomatoes into chunks. Heat the oil in a large enamel or stainless steel kettle and sauté onion and garlic. Stir in peppers, carrots, celery, and tomatoes; add parsley, oregano, bay leaf and pepper. Simmer, uncovered until thickened, about 1 to 2 hours, stirring occasionally. Remove bay leaf. To can, add the lemon juice and pour into hot, scaled pint jars, leaving ½ inch headspace. Seal and process in a boiling water bath for 35 minutes. To freeze, pour into freezer containers. Freezing sounds a whole lot simpler, doesn’t it. An apple recipe contest was just one feature of the festival and this Apple Dapple Cake was the First Prize winner. A cookbook was also published with all the entrants’ submissions. I was not very confident in my cooking (especially baking!) abilities back then, so I didn’t submit anything. This cake is one I can’t mess up, though. It’s so moist and thick with appley flavor and the crunch of the nuts and coconut. Over the years of making this, I've changed it ever-so-slightly, just toasting the nuts, and adding coconut; I think the next time I make it, I'll add some cinnamon. We had this cake for Amy’s “We killed the fatted calf for you” farewell dinner. It didn’t last long, even with just the three of us sharing it. Preheat oven to 350 degrees Fahrenheit. 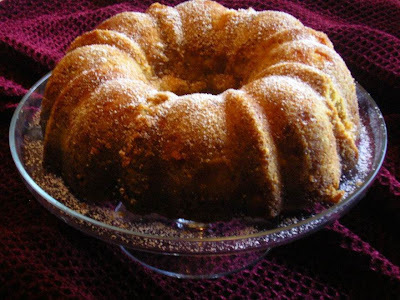 Lightly grease 10-inch fluted or Bundt cake pan. In mixing bowl, combine eggs, oil sugar, and vanilla until blended. Add apples. In another bowl, sift together flour, salt and soda. Add dry ingredients to wet. Mix. Add nuts and coconut. Bake at 350 degrees for about 1 hour, until toothpick comes out clean. For glaze: While cake bakes, make glaze. Melt butter, vanilla, and brown sugar together over medium heat. Bring to boil. Remove from heat and add milk. While cake is still warm, pour glaze over cake. When completely cool, remove from pan. Serve with whipped cream or ice cream. I have always shied away from cooking French food. I suppose that’s because, at least subconsciously, I must think that French food is fussy and – therefore – not for me. I was wrong. I have started watching, although not regularly enough, Laura Calder, host of The Cooking Channel’s “French Food at Home” and I was instantly intrigued. After looking at a couple episodes, I decided to try a recipe I saw on a show in which she focused on s-l-o-w foods. I watched her make a simple potato dish, with such a pretty name – Pommes le Terre a la Boulangére – and I thought, “I can make that!” And I did. Potatoes Boulangere is a fancy name for this peasant dish, which is really just sliced potatoes and onions baked slowly in broth. Kind of like scalloped potatoes, except no milk or cream. How the dish got its name is quite interesting. (This kind of food history always fascinates me.) 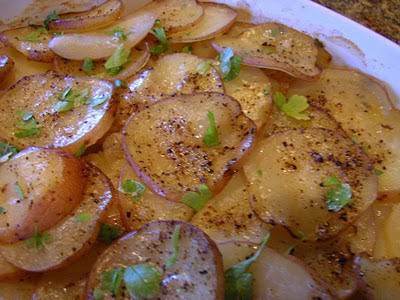 Boulanger is the French word, you may know, for baker, and this potato recipe is called “boulangere” because long ago it used to be cooked in the town baker’s oven after bread making had finished for the day. People used to quite literally take their dishes down to the bakery and have them cooked in the leftover heat of the baker’s big ovens so they could conserve their own fuel. 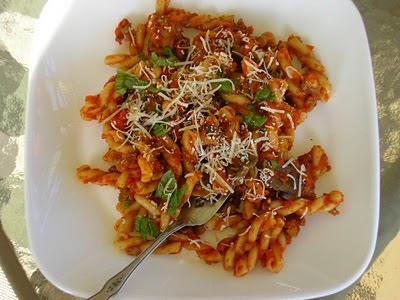 There are a number of variations on how to prepare and cook this simple dish. Some versions do not pre-cook the onions and Laura Calder’s version uses beef broth because she asserts it imbues a richer, deeper taste. But I just had chicken broth. She also did not specify a type of potato and on her show said she used different kinds of un-skinned potatoes for the variety of color. I just used red. And red passed with flying colors for my daughter’s farewell dinner last weekend. She came home to Pennsylvania from Tampa for an unprecedented 10 days and did a whirlwind of visiting with family and friends. 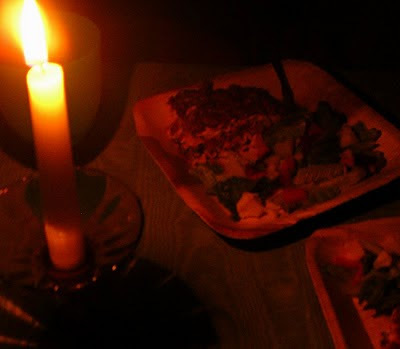 So the day before I was driving her to the airport I pulled out all the stops and made a great dinner. In addition to the potato casserole, there was pork tenderloin with fennel, onions and apples and roasted broccoli with garlic and red pepper and an apple cake. (More posts later!) My husband accused me of “killing the fatted calf.” The two of them didn’t care what the potatoes were called, though; they just knew they were good. Melt half the butter with the olive oil in a saute pan, and gently cook the onions over medium heat until soft and lightly golden, about 15 minutes. Spread half the onions in the bottom of a casserole. Lay a layer of sliced potatoes on top, season with salt and pepper, and scatter with thyme leaves. Build another layer of onions, then a final one of potatoes. Dot with remaining butter. Finally pour the stock over all. Cover the pan with foil, and bake until all the liquid has been absorbed, 2 to 3 hours. Uncover the last hour, if you’d like the top crisper.